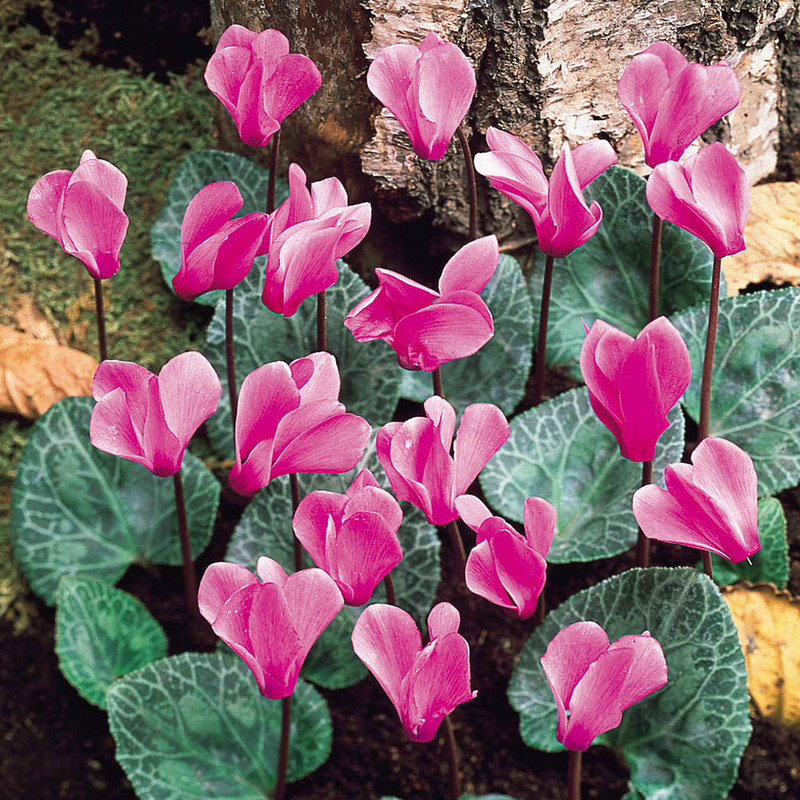 Attractive marbled leaves are visible for up to nine months of the year with a fine display of dainty, mauve to pale pink scented flowers throughout the autumn months. An RHS award of garden merit winner. Leave undisturbed to increase flowering potential. Height 8-12cm. Giant 20cm+ circumference bulbs supplied as illustrated.